Sten Widmalm, Professor of Political Science at Uppsala University. The rise of a populist party like the Sweden Democrats in Sweden is usually said to be linked to the past few years’ refugee flows. But the explanation lies deeper than that: in how the welfare systems function in today’s Sweden, says Sten Widmalm, Professor of Political Science at Uppsala University. In an article in the journal Respons, Widmalm writes about how Sweden’s political climate has been affected by the increasing subjection of welfare systems – care, schools, law and order – to economic considerations: ‘economism’. Using governance models from business (New Public Management) in the public sector has had various negative consequences. 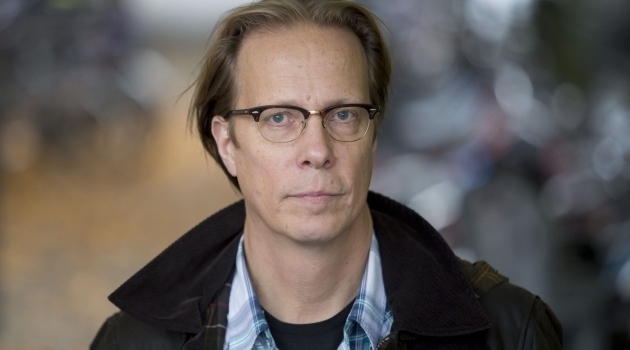 At the same time, the politicians have failed to address the problems, Widmalm thinks. Rising sick-leave figures in the public sector indicate that many people are not thriving at work. Teachers complain that they are too busy to meet their pupils, doctors lack time for their patients and police cases are piling up. Stress is increasing, but not efficiency. According to Widmalm, economism is the cause. Everything is seen in economic terms, which in turn calls for constant evaluation and a great deal of administration, at the expense of core activities. Increased immigration in 2015 and 2016 is widely thought to explain why the Sweden Democrats are gaining more votes. But Widmalm sees it, rather, as a triggering factor. Widmalm believes it is important for politicians to not just stand up for human rights but also invest resources, a certain percentage of GDP, to combat segregation. The pressure will only increase in the future with the threat of vital resources, such as water, disappearing in parts of the world, which will lead to increased migration here. According to Widmalm, Sweden has been transformed in recent years, from a welfare state into something else. At the same time, surveys show that many Swedish voters think the political parties are addressing the wrong questions. This makes it easy for the discontented and populist votes to have a big impact. Many have called the Riksdag election of 9 September ‘fateful’. The Sweden Democrats won more votes than ever. It is too early to foresee the implications, but obviously this will change the political arena. “Taking a positive view, we may need a wake-up call to find our way back to the essentials in politics, such as more humane management of issues related to elderly care, healthcare and youth education. But, to be a bit more realistic, I think Sweden’s becoming more like the rest of Europe. We’re getting less to decide on because of our EU membership. It shouldn’t have to be like that, since the EU is meant to be a force for democracy. But now it’s mostly a force for market liberalism,” Widmalm says. In times when few want to engage politically, become party candidates and attend meetings, there are huge challenges for democracy. Widmalm admits to painting an extremely dystopian picture of the future, but nonetheless sees a glimmer of light. A native of Tranås, a municipality and village in Småland, he knows that outside the metropolitan areas, much is being done in purely practical terms to boost integration and help refugees get jobs.